TIS are thrilled to release the official programme for the Annual Conference 2013. Although the deadline has passed for booking Residential places, we still have a handful of rooms available if you would like to be part of this stimulating event. We are also still taking bookings for Day Delegate places. To see the detailed programme, go to the Conference & Events section of the website, and click on the ‘more information’ tab under Annual Conference. The “Question Time” session will be chaired by the BBC Scotland political editor Brian Taylor who will encourage a lively debate with the panel and conference delegates on the challenging time ahead for Scotland’s social housing and the impact of budget cuts. This year’s Question Time panel includes Jim Hayton, Policy Manager, Association of Local Authorities Chief Housing Officers (ALACHO); Alison Kerr, West Lothian Tenants Movement; Susan Aktemel, Homes for Life, Scotland’s first social enterprise letting agency; Alistair Sharpe, Govan Law Centre; and Martin Pollhammer, Chief Executive of East Lothian Housing Association. Scrutiny of housing services by tenants and service users is an important part of performance management and is now a regulatory requirement. The Tenants Information Service (TIS) has produced a Tenant Scrutiny Framework to support tenants and landlords to develop their tenant scrutiny activities. Tenant scrutiny is more than just another tenant participation activity. It is a way of giving tenants and their representatives’ greater influence and ability to hold their landlords to account. We are delighted that Glasgow City Council will be hosting a Civic Reception for delegates on the Saturday evening. This will be followed by a Gala dinner where the Frances Nelson MBE Awards will be presented by Councillor John Alexander, from Dundee City Council. The evening will be rounded off with entertainment. 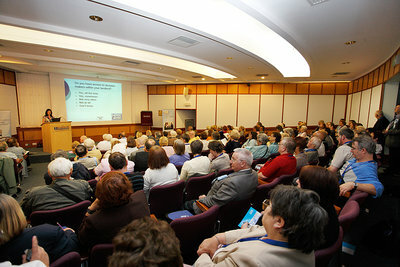 This year we have an excellent line-up of topical and skill based workshops, as well as two unique study visits. On the Saturday you can sign up to attend two of the following workshops or one study visit. Show and Tell Innovation Showcase – Doing it for real! – Find out how tenants and landlords are planning for Tenant Scrutiny.